Skewed Beauty or Skewed Radio-Carbon Dating? 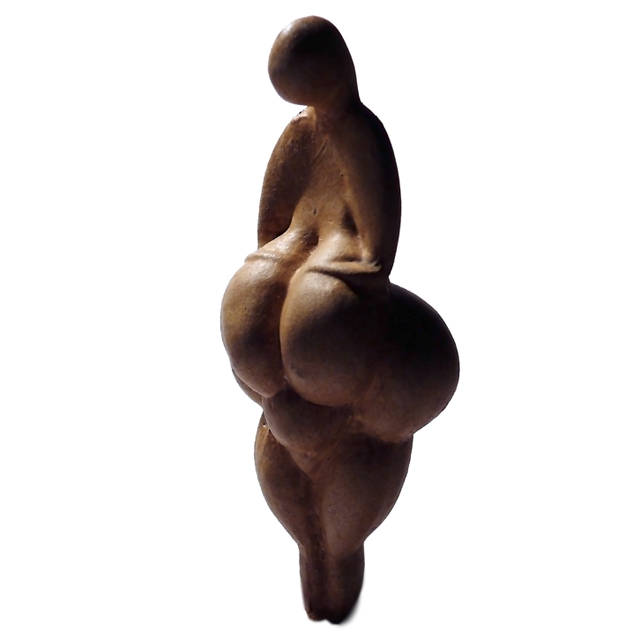 Are these figurines, as archaeologists would have us believe, ancient man’s idea of female beauty? Other explanations suggest that women suffered from deformities and illnesses. I am going to offer up an explanation that is unique. But before we step out of the box and think creatively let us recap what the academics tell us. Venus of Monruz, 11 thousand from Switzerland. 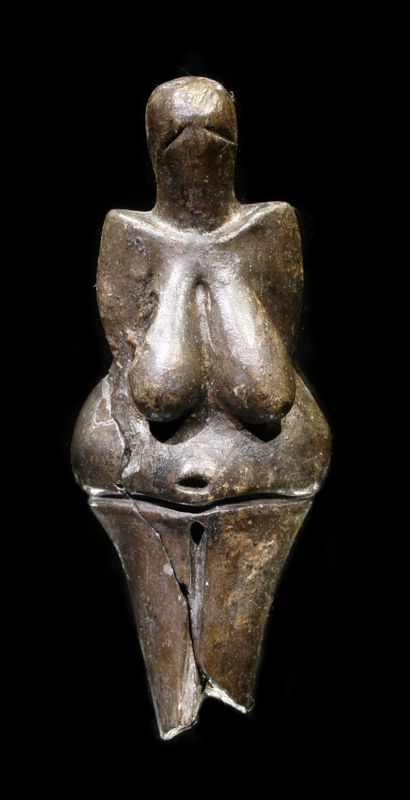 Venus of Brassempouy, located in Musée d’archéologie nationale Height: 1.4 in. These are all classed as Venus figurines yet there are three distinct styles. We might say they can be divided into three groups: obese-decapitated, elegant realistic, and modern art. Most of the list is of the first type. Brassempouy is delicate and realistic while the Gonnersdorf are sweeping curves as found in modern art. The academics say they span a period of 35,000 years. Most falling in the range of 35 to 11,000 years ago. 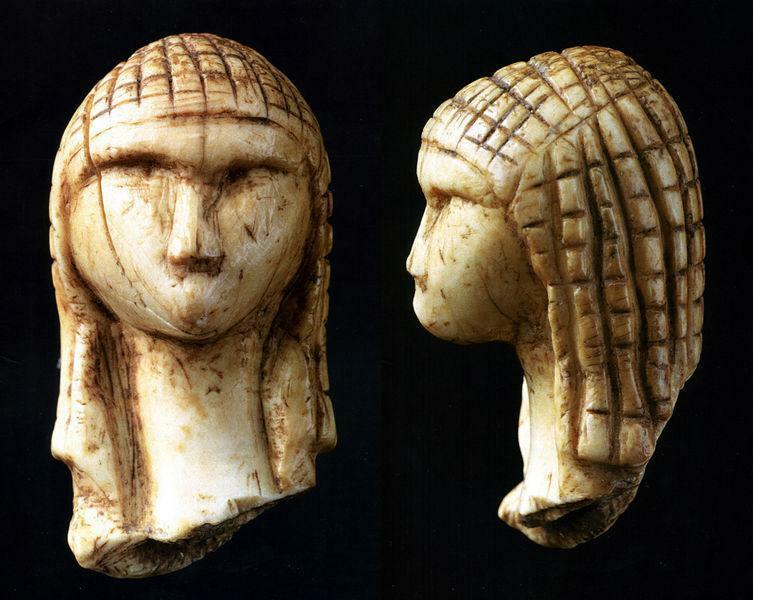 Is it likely that this strange style of art was repeated for a period of 24,000 years? Or is it more likely the time span of this art was much more narrow? What could cause radio-carbon dates to be in error? Radiocarbon dating is based on the steady rate of formation and then decay of carbon-14. 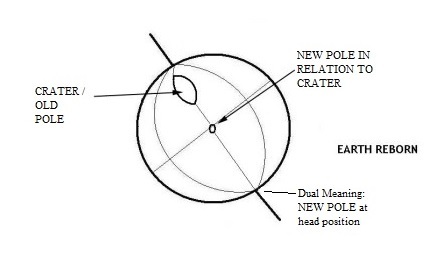 To skew the results there had to have been changes in the Earth’s magnetosphere, cosmic ray input and/or climate. This would vary the results for a small time event window by 10’s of thousands of years. What could disturb the Earth so greatly that the amount of carbon-14 laid down in layers over the ages is stirred up over a vast area? Would there not be large variations in carbon-14 if the Earth went through a violent deformation and reformation? Would this not cause climate changes? 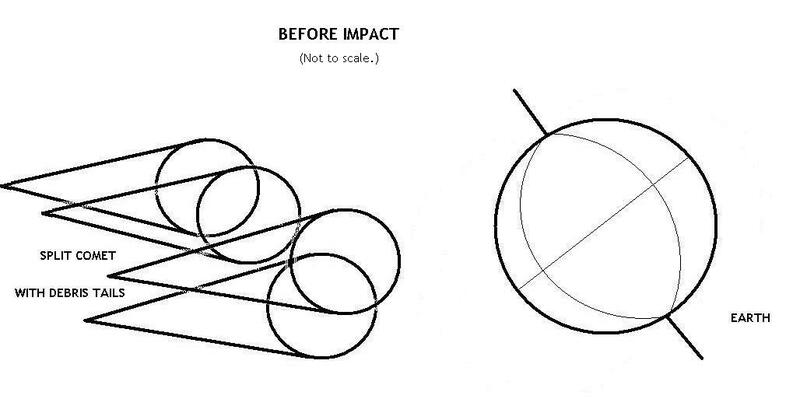 If these changes occurred concurrent to the period of time in which these images were carved, would the dates not vary? So if they are not fat, distorted women, what are they? Perhaps they are images of large comets impacting with Earth which would have caused tremendous disturbances in the planet’s magnetosphere, cosmic ray influx, and layers of sedimentary material. 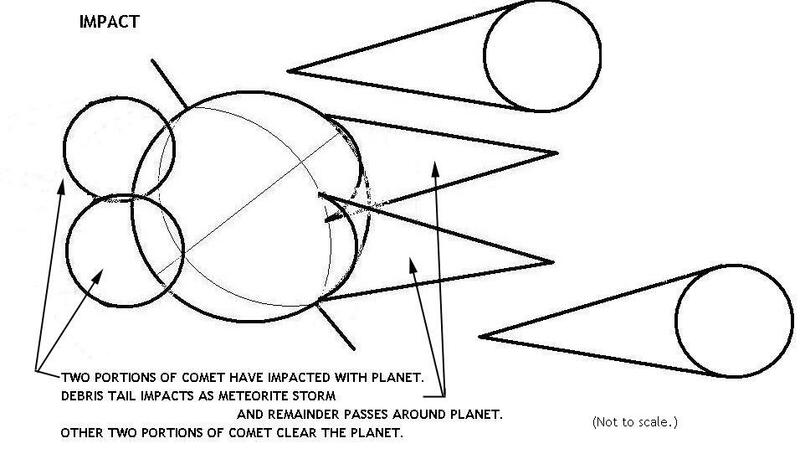 In other words, two large comets impacted and caused a re-shaping of the planet. I will let the images and sketches tell the rest of the story. Large comet has fractured and is approaching Earth. 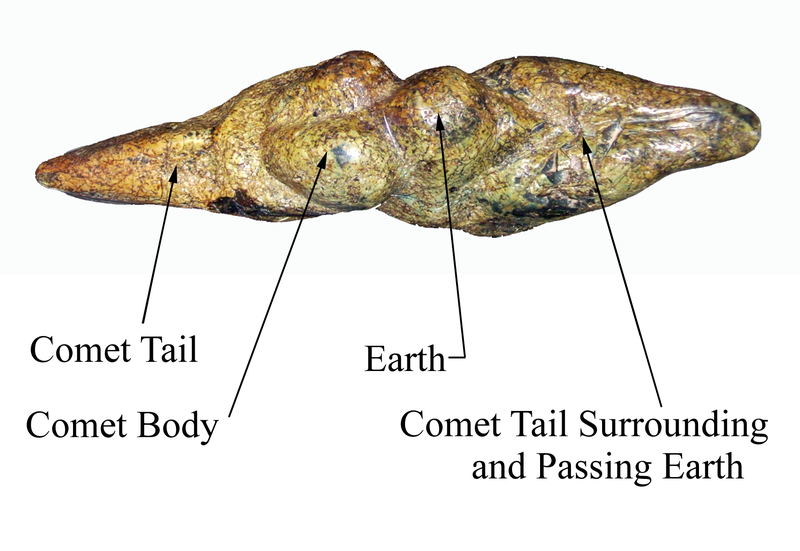 Comet has impacted with Earth. The distorted images of women found in these objects of art are a unique way of preserving the story for future generations. Following the impact, survivors in Europe fanned out and educated the rag-tag remnants of mankind. As they traveled they left these hand-carved images behind. These are images of Earth’s past and the day when all but a few of mankind escaped annihilation. 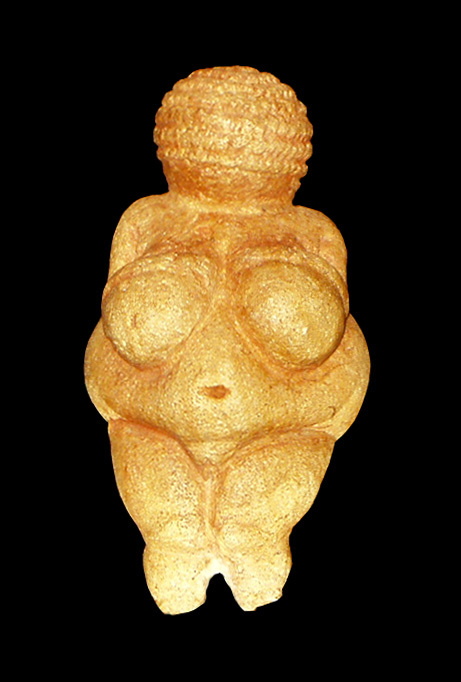 Most likely carved and used during a narrow band of time, say a couple of hundred years at most, the Venus Figurines give us feedback on the accuracy of radio-carbon dating. They point out the carbon dating of objects without knowledge of prevailing geological conditions may cause gross error in understanding. Were these images carved by direct descendants of the apocalypse of which we are the survivors? Other ancient records support this idea of a double comet as seen in future posts. 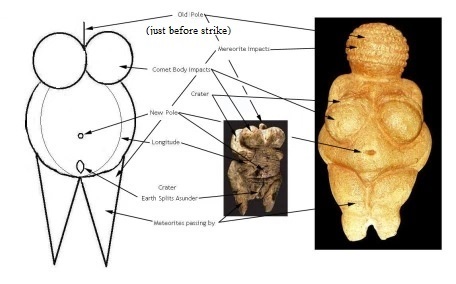 This entry was posted in Ancient History, Mysteries, Religion, Science and tagged Comet Impact, Noah's ark, Out of place artifact, Radio-carbon dating, Venus Figurine, Willendorf Venus. The Venus of Brassempouy looks as if she has lines of longitude and latitude in her hair. Could be but I thought the artist was drawing carving someone with very thick curly hair in locks. Very pretty either way. Right or wrong, this sort of thinking outside the box is brilliant! Leads one to almost imagine six impossible things before breakfast. Thanks. Right or wrong I love out of the box thinking!